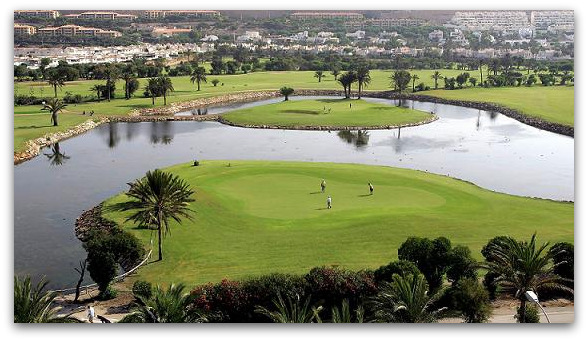 The Almerimar Golf Course has 27-holes on a surface of approx. 802.000 m2, embedded into a beautiful landscape delicately by its singular beauty with palms and lakes, with the marvellous Mediterranean climate of Andalusia. 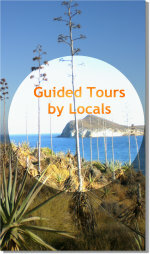 As the only golf course with 27-holes in the province of Almeria it offers enormous play possibilities and challenges. The golf course has a generous practise area with chipping green with 3 exercise holes, driving range, and a putting green with 9 exercise holes. Lovers of this sport will enjoy the wide fairways of the Golf Course. 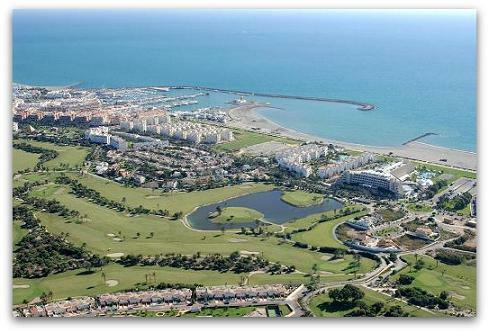 The Golf Course Almerimar offers lots of possibilities for golf players of each level. In addition, it demands also from experienced golfers a high measure of concentration, it can also be mastered from beginners quite well. Obstacles - like the water surfaces and the skilfully placed bunkers - can be well played. Bunkers and small ponds very well guard the greens and the fairways seem to be like carpets. It has wide treed lined fairways, and large greens, which are well maintained and fast to play on. There are water features at several holes. The lush vegetation affords a pleasant oasis-style feel to a round as the palm trees and lakes create spots of spectacular beauty. The Golf Course Almerimar is situated in the heart of the "Almerimar Resort" a full service upscale holiday resort that offers the Hotel Almerimar****, Hotel Golf Almerimar*****, (opening 2010), the Apartments Almerimar and the Sports Marina Almerimar. In fact all together combined to the “Almerimar Resort” with its unique Mediterranean climate that offers more than 3000 hours of sun per year and an average temperature of 20 C, wonderful landscape with long beaches and an outstanding golf experience.